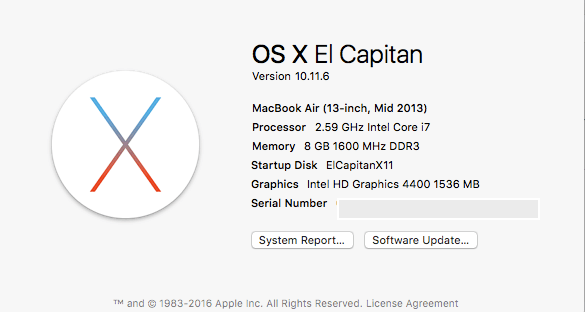 The latest El Capitan version is 10.11.6, I need to update from 10.11.5. The only 2 things that need to be concerned about are the Patched AppleHDA.kext for ALC282 and the IOUSBHostFamily.kext that’s patched for MacBookAir 6,2 SMBIOS. The 10.11.6 IOUSBHostFamily.kext patched didn’t work, I had to use the old 10.11.5 and it worked. The bluetooth works after the patched.